Writing informative blogs in a casual tone is crucial for appealing to a broader audience as well as search engines. This strategy helps encourage conversion and engages readers on a personal level. As the internet has become the primary source of news, information, and social networking across the board, businesses have turned to blogs to help educate and engage their target demographics. Blogs are meant to be clear and to the point, providing enough material to hold the interest of the readers. In the field of plastic surgery, blogs serve as educational resources for potential patients who are searching the internet for solutions to their cosmetic and reconstructive concerns. 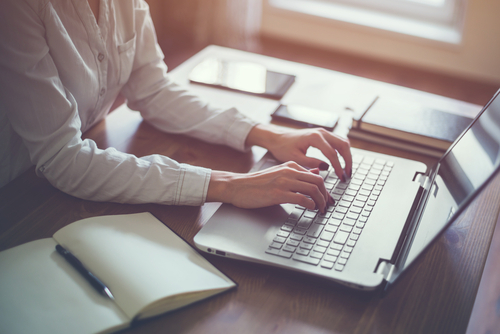 The overall tone of a blog on a plastic surgery practice website represents the voice of the practice, and it should also consider the writing style patients gravitate toward. The objective is to draw audiences in and make them feel understood while simultaneously providing them with answers to their various questions. The critical components of how to develop the right blogging tone are listed below. Sometimes it can be challenging for a medically trained plastic surgeon or specialist to view content from the patient’s point of view, but this thought process is essential for creating posts that resonate with the public. Writing in a casual or conversational tone creates a sense of relatability that keeps readers interested in an article, and with any luck, can help lead to a conversion. A blog developed to intrigue patients should also take into consideration the doctor’s geographical location, particularly to appeal to local search listings. When a patient feels like a blog is coming from someone they can relate to, they tend to stay engaged with the content. There is a misconception that for an article to be authoritative and informative, it must be highly technical and detailed. While it is helpful to include necessary information that pertains to the subject, most readers will avoid blogs with large blocks of text and language that appears wordy, even if it is technically accurate. Blogs that hone in on a specific topic without veering into lengthy territory are more approachable and can maintain the average reader’s attention for longer. Audiences are attracted to content that is clear and concise so they can easily digest the material and potentially convert into patients. Search engine optimization (SEO) strategies often change over time in accordance with advancements in technology and changes in how people browse the web. Recently, tools like voice search have become part of our daily lives. Because many consumers are speaking their queries to virtual assistants rather than typing them out, content that is conversational is more likely to take priority on search engines. Additionally, search engines tend to favor blogs that can deliver the necessary information in 500 to 750 words, emphasizing the importance of creating valuable content rather than meeting a particular word count. 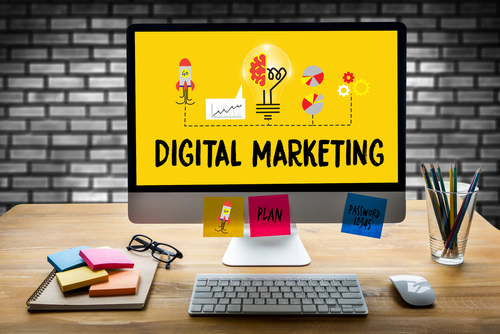 At Plastic Surgery Studios, our writing team is dedicated to developing web content that converts by applying the most current digital marketing strategies. By focusing on principles that make material relatable to target demographics, informative but concise, and SEO-friendly, our content creators strive to optimize our clients’ blogging programs. Ultimately, combining educational information with a voice that speaks to specific audiences can deliver positive and measurable results that coincide with our clients’ marketing efforts.